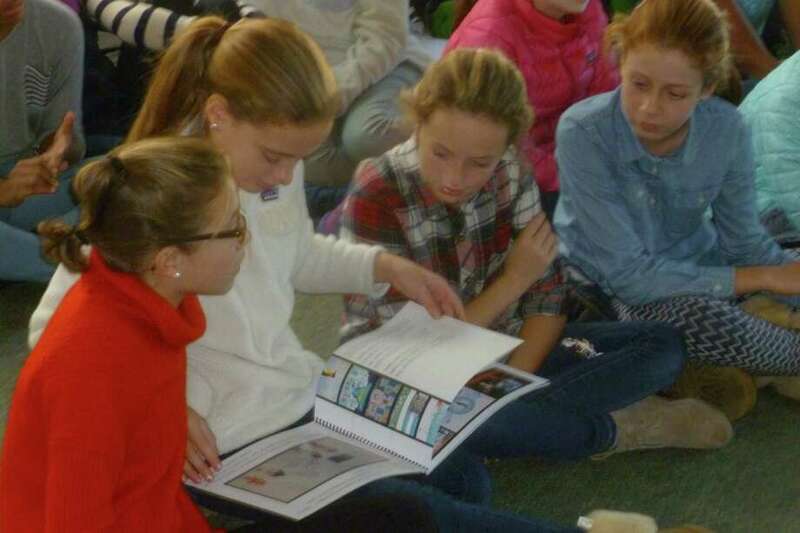 Two years ago, Kaleigh Griffiths was one of the fourth graders at New Canaan Country School who marked Antarctica Day by completing a short book about the South Pole’s status as a neutral space where countries cooperate on scientific research and other projects. Students decorated the book with maps, drawings, and information to celebrate the Dec. 1 observance commemorating the signing of the Antarctica Treaty on that day in 1959. On Dec. 4, Kaleigh saw the fruit of the work they did with their science teacher Chantal Detlefs included in a 30-page digital booklet named “Celebrating Antarctica,” created by Our Spaces, a foundation that advocates for good governance of international spaces. Along with drawings by other children, a drawing by Kaleigh is included in the book. Students heard a brief presentation from Dr. Julie Hambrook Berkman, the director of Our Spaces, and told the students the book was distributed to scientists and representatives of member countries of the treaty at a conference in Bulgaria this year. Berkman told the students that more than 70 percent of the Earth’s area can be considered shared space not under a particular country’s control, including Antarctica. Detlefs, who teaches science to students in the first- through fourth grades, said that fourth-graders studied the Antarctica Treaty for the past several years, engaging in activities such as drawing flags for countries that have signed the agreement. At the completion of the unit, the flags are sent to scientific research stations in Antarctica, where they have been displayed with the work of other children around the world, Detlefs said. While the group revised some aspects of the Country School student’s original work, Detlefs said the new digital book was largely reflective of their writing and effort. When told the news about their book being integrated into the digital e-book, students were excited it might be used by children in other countries, she said. The e-book can be downloaded in 15 languages at celebratingantarctica.tumblr.com.